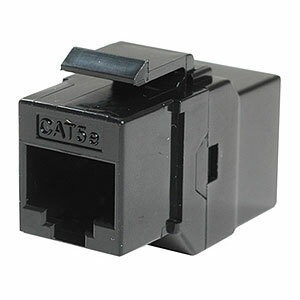 The CAT5e in-line faceplate coupler mounts directly in a standard faceplate and allows you to connect CAT5e cables directly! No need to wire in jacks and no punch tool required. Simple and fast!